Prince George's County Police Department tweeted just after 11 p.m. that two of their officers were shot in the 2700 block of Lorring Drive. WASHINGTON — Two Prince George’s County, Maryland officers were shot Wednesday night while executing a search warrant for a narcotics unit. Police say both officers were flown to a shock trauma center in Baltimore and that they are in stable condition with non-life threatening injuries. Prince George’s County Police Department tweeted just after 11 p.m. that two of their officers were shot in the 2700 block of Lorring Drive. Lorring Drive is just under a half mile from the Penn Mar Shopping Center. Breaking: We are investigating two officers shot in the 2700 block of Lorring Drive. Media Relations Division reps headed to scene. More to follow. Around 10:30 p.m., the Special Operations Unit was executing a search warrant at the 2700 block of Lorring Drive on behalf of the Narcotics Enforcement Division, Donelan said. Donelan said there were nine people on the team, one of which was a tactical medic. The 9-person team announced themselves after knocking, but after getting no response from residents, they entered the apartment with a “mechanical device,” she said. The tactical medic immediately assisted the two injured officers as the other officers entered the residence. The suspect surrendered and was taken into custody, Donelan said. Another individual was in the residence, who Donelan said was a witness to the violence encountered by officers, but not part of it. That person was also taken into custody. Donelan also thanked Prince George’s County Fire and EMS for arriving on scene and transporting the injured officers to a nearby school, where Maryland State police were able to land their helicopter to take the officers to Baltimore Shock Trauma. 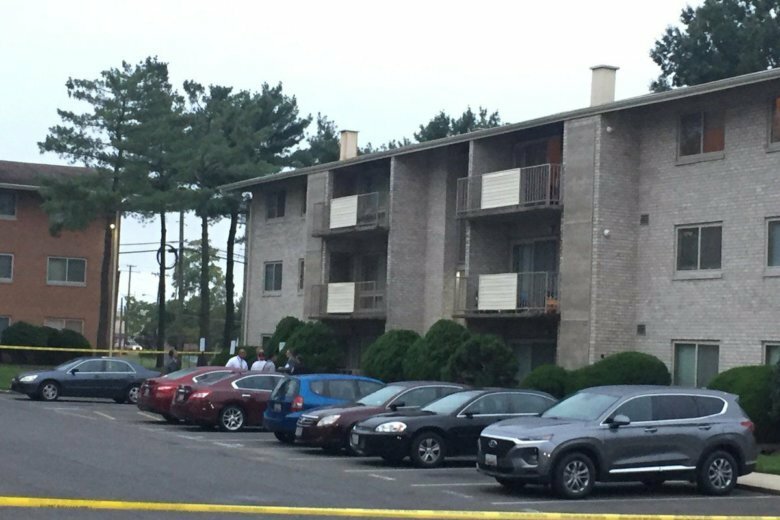 One of the injured officers was already speaking with Prince George’s County police, Donelan said. There are discussions being had about whether the second officer will need surgery. Donelan said more information about the officers’ identities will be revealed later on.